Those who adapt to environmental changes survive. What happens when the environment changes too fast for us to adapt?In an increasingly fast-paced, near-future world, psychologist Billy Carrington wakes from a nap to discover that he is completely alone. With his all-in-one Organelle smart device, a growing menagerie of animals, and a potentially life-saving vaccine, he crosses the country searchi… ng for his wife and child-and for an answer to what happened while he slept. 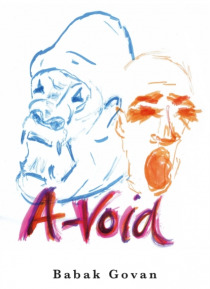 A cautionary tale of our fast-forward world, A-VOID illuminates the risks of accelerating technology and information overload.